Catalogs of products are created to ensure that a potential buyer can easily select any item and either order it, or come to him personally. 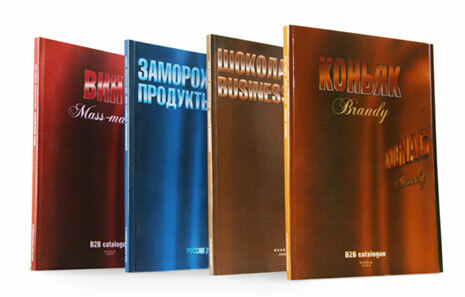 There are different types of directories, depending on the audience which you targeted. However, there are General rules, guided by which you can easily create a catalog of the productsyou want to sell. First and foremost, keep in mind that even though the directory and are published in large editions, they are designed for long-term use. Poet printed on glossy paper, the print should be full colour, and cover - hard. The first page of the directory must contain a directory name, issue date, product category, which it contains, and the name of your company. If you sell products, which is focused on natural and legal persons, and positioning it as the most economical solution, it is desirable to select the price of the goods as clearly as possible and point them directly under the item picture. In the case if you work with legal entities so that they deliver office supplies, please note that in most cases the goods chosen by the employees, who should not know about the price, so specify only the SKU and item name with a photo. The directory should be organized by headings. Table of contents for it must appear in both print and electronic versions. In order to guide the user to purchase a specific item, use markers like "consumer's Choice" "Best choice", "Best price", "Discount", and the like. This will allow in the fastest time possible to get rid of excess product and to provoke the interest of consumers to a particular brand.